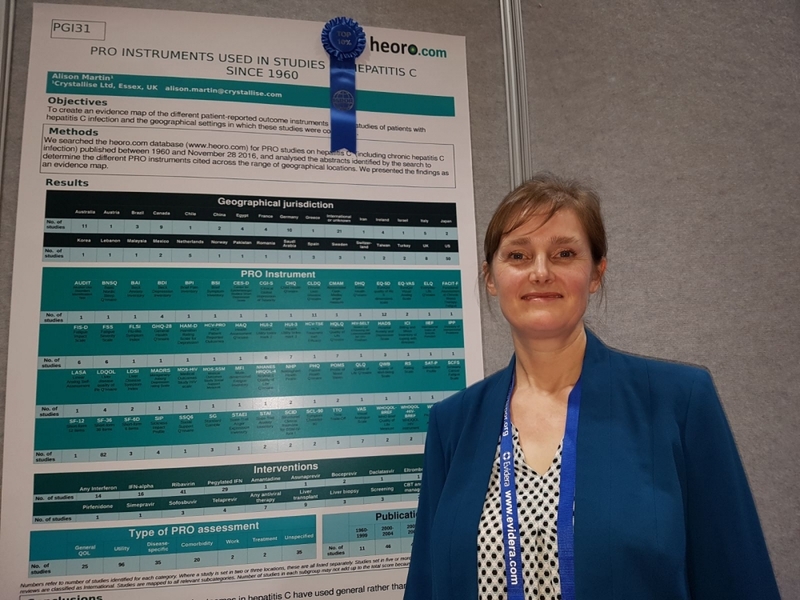 We had another successful ISPOR in Boston last week. 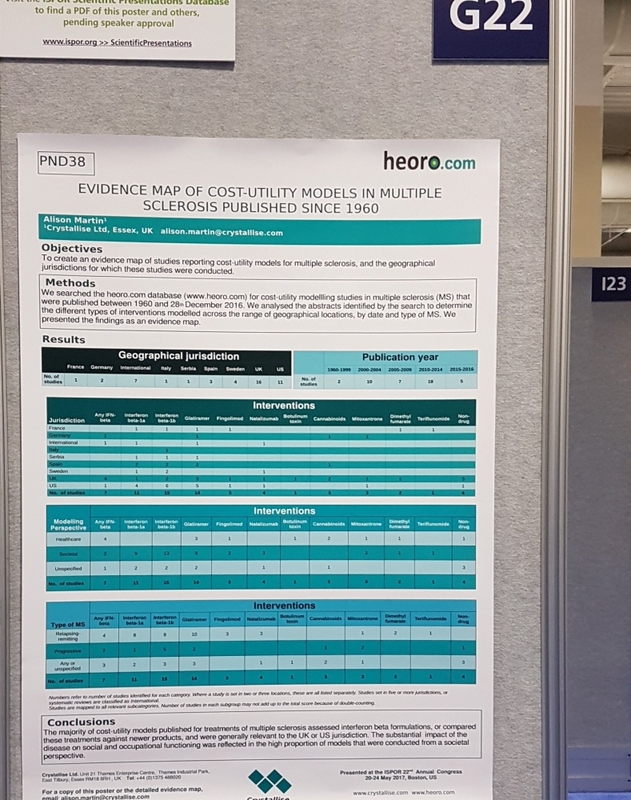 One of our five posters was shortlisted for an award, and visitors to our stand were very interested in heoro.com and our new Evidence Map service. You can also request a free copy of the Evidence Maps that were used to create these posters by emailing alison.martin@crystallise.com.